I’ve had any number of discussions with some of my good peeps this week talking about the factory. This is, as any long suffering reader of this blog will realize, one of my ‘first draft thinking’ posts, so stay with me if you can, and comment deeply if you can afford the time. I’m currently in the process of trying to pull together a paper with someone about what literacies we need in order to deal with the current influx of control we have over the means of production. We are not, most of us, in control of the means of production around our food, or, for many of us, for our jobs, but we are able to participate. Far more. As many of the jobs in our factories disappear, and the jobs that we have get more complicated, new realities (or, really, old realities) emerge. We are more and more tasked with trying to figure out how to maintain larger stores of knowledge, computers allow us to compute more data, to process more products. Many of our jobs are in the process of breaking under the strain of scale creep. The traditional idea of schooling hangs on the idea that we can get a really long way on calling things TRUE. or FALSE. That we can offer a task with a single correct solution that can be achieved based on the general agreement of the people who are creating the curriculum. We all (or i certainly hope all) know that we are kinda simplifying the world by doing this, we know deep down in ourselves that the world really isn’t a place where things are completely right or completely wrong, but a place where these things are often or usually so. But its hard to measure those things and sure easier to design things around people ‘needing’ to know ‘this thing’. The other side of this is that this was exactly what some people had in mind when the designed ‘public’ education. We needed to have kids who showed up to work on time when they grew up and could live with pushing the button with their right hand. In a factory. Much to the chagrin of places like where i grew up, these jobs are fading fast. They are being exported to other countries where they can be done far cheaper and they are being done by machines. Any operation, whether it be winding a string of wool around a spool, or pouring lead into a kettle (a job i’ve had), or pushing buttons… if these jobs can be automated they will be. soon. 20 years from now there will be no need for people who can boldly ‘remember’ or who can staunchly ‘repeat’. Whether that be at the coal face or the book shelf. That’s not to say the remembering and repeating wont be useful… just that people wont be making money because of it. We are all of us walking out of the factories and moving back into the light, and it is a bright light that we are not used to seeing. There will be no more button pushing for joe. Well… this sounds like good metaphor… hell, we’re moving towards the light. The only problem is, we’re very, very accustomed to the factory. We are accustomed, as a culture, to having a button that can be pushed. A truth that can be true, and fully true. A task that can be approached, tackled and accomplished and then… be finished. These are the ways of the factory… a factory has a superstructure a falsified context wherein things need to get done in a linear, straightforward way. It’s a place where science gets rarified down to its purest. Lead melts 318 degrees, it also sheds impurities just above that, so keep it between 325 and 319 and you’ll be able to clear it out. Wash hands. repeat. Each person has a very specialized task, and that task has predetermined parts… a way to win… judged by the fact that you are still being payed. The funny thing about this brightness, is that we’ve seen it before. There was a time where many people did control the means of production. They did have control of the work that they did. Certainly not everyone, not everywhere, and not in every culture… but many many people. They watched the weather, and accepted that sometimes it was good for crops or not. They built tables and chairs, and horseshoes and made dishes and utensils. And each making was slightly different than the one before it, and they were each judge in a variety of different ways. A person who makes things makes a bunch of different decisions in the making that sets them apart from someone who doesn’t. It’s the difference between cooking your own food from scratch and cooking a frozen pizza. Bunches of decisions, small ones, but they matter. But we need to… and i don’t just mean the kids. We are entering a time that might be very shortlived. We have a chance, right now, to start to take control of the messages that are out there. To have a real pluralistic society where people are allowed to have different opinions about things and that could be something that makes us strong. But we need to be thinking about talking to people and teaching students what it means to be responsible to the work that you do. What it means to decide that my work is done because it is done right to the best of my ability to do it… not because i have managed to satisfy some obsessive rubric. This is my rant against digital literacies. The literacies that we need are not digital. THEY ARE HUMAN. We need to be responsible to the products of hands… even if they are typed through a keyboard. The digital may have given us an opportunity to band together, but the banding is not about technology, it’s about us raising a very old standard. The digital stuff enables us to have this conversation, Dave, but the necessary discussions are about power and control. As you’ve noted, with power comes responsibility. I think a major constraint is the “job” or salaried work. When corporations & bureaucracies are the main sources of income, then people learn to play the game. When we’re all free agents then it’s anarchy from the perspective of the powers-that-be. What made early America so dynamic was the large number of free agents, beholding only to their local communities. I’ve come to the conclusion that education won’t change until how we work changes. The human literacy we need most is to think for ourselves, followed by the ability to communicate and work with others. I’m tempted to just say “yup”. The question that pops into my mind as I read this through again, is – Are we going to be the Greeks or the Romans? I don’t think we were designed, by chance or purpose, to be button pushers. We are a creative species and seem to do better when allowed to exercise that creative and innovative bent be it the (generalist) farmer, the tool maker, the hunter, or even the parent. An aside: I have a theory that spectator sports that are urelated to survival skills only spring up when you have too many button pushers in your society. In early 70’s the Club of Rome recognized this and published two reports. The first focused on the “limits to growth” we had to face, small world, too many mouths to feed type stuff. The second report focused on the possiblities. They suggested that there were “no limits to learning” and further there were two ways we could learn. We could, as a species, learn by shock or by innovation. To learn by innovation two conditions had to manifest. We had to be able to anticipate what would/could happen and we needed a participatory society engaged in the process. Amazing synchronizations! Just a few hours ago, an economist contact I have sent me this write up he did about much the same thing you’re thinking about here. I sense a big deal in it, but don’t yet have the ability to process the significance. Your post helps. See what you think of the economic POV. The Labor Theory of Intellectual Property…economists had not yet abandoned the Labor Theory of value in favor of the Marginal Theory of value that was ntroduced in the 1870s by Jevons in England Menger in Austria, and Walras in Switzerland. Its really interesting, and much the same as what you’re saying.. This post angles nicely into something I’ve been thinking about from my folklorist’s perspective: that this “new” learning, with its choices of approach and materials; personalization of style; and cooperative and collaborative systems of exchange and modeling and mentoring, is really an expression of craft as a process of knowing and communication/production. (This latter concept still a bit tangle-y). Yes, the work of the hands is a very old standard, but I agree-it’s highly applicable. The Carnegie model needs to die off already. We no longer farm, we no longer are connected to many things that matter, having built unhealthy and unsustainable work cultures. I agree the free-agent model may indeed be a part of the solution, which would require us to get hungry again, hungry for change instead of averse to it. All of our current innovations began with someone saying “yes” to the risk or slight chance each might be true and plausible. Once we start saying “yes” to risk and to the world, sometimes they say “yes” back. I know you love being the contrarian, but in part you are railing against a straw man here. It’s OK…I do it too. Maybe it’s not “digital literacy” but what’s needed necessarily involves the digital. It’s why I don’t talk about digital fluency, but about information fluency… knowing damn well it must include the digital. I could just as well talk about creative fluency. But no one– OK almost no one– who talks about “digital literacy” is actually talking strictly about the digital. Everyone is muddling around in a misty and complex confusion of cognition, linguistics, creative and critical acts… it is now as it ever was, its just a lot more OBVIOUS how confused things actually are when you get beyond the most fundamental themes in education. In the end, we just keep creating new phrases that allow us to mask our reiteration of the same themes: beyond the basics, education is about making; making is hard; we’ve been trying to figure it out since capital-A Ancient times and it’s fundamentally the same nut now we were trying to crack then. Of course digital literacies are needed, the technology subsumed by the term “digital” have become an inescapable part of the world, just as traditional literacy is needed because writing is a part of the world. But it doesn’t stop there… that’s the easy part. Which is mystifying because digital literacy is no mystery, it’s simply a pre-cursor. All the discussions about it a smokescreen for the age-old confusion and consternation about what it means to engage creativity. It’s as if everyone decided to start arguing regularly about how to shape letters and which letters should be in the alphabet, never getting to the point of helping students write poems. “We” are breaking up into a thousand subcultures. The entire global economy is in contraction, and that must mean an increase in complexity elsewhere, including in the alternative social systems. Those who are conditioned to be comfortable only with buttons to push and a true/false digital education are indeed facing a sad future. But those people aren’t everyone. And in 20 years, those people will be a different – perhaps much, much smaller – subset of humanity. Many of the factory workers of 2029 haven’t even entered our defunct educational system yet. Many of today’s factory workers will be long retired or dead in 2029. At the same time there is a massive rising tide of counter-culture thinkers, while the Internet, a product of the digital and button-pushing world we’re losing, short circuits long term development of misinformed mythology. In favour of short term misinformed mythology. I’m not sure if it even makes sense to try and predict what things will be like five years from now, let alone 20. Love your first-drafts Dave. Don’t polish please. Yes, the rise of technologies (meant here as a process and/or tool, means to an end) embedded in things and people we live with, veers us off in increasing number of possible directions, producing an increasing array of changes and possibilities. Poor old (or ‘dumb old’ some would say) Button Joe not only loses his job, he is increasingly unable to fetch, process, analyze information to even catch a bus on a route he has never gone before (but Joe can see his aunty in Australia every day via Skype ? ). In rapidly changing, uncertain times, we crave certainty (D’uh! Deep hey). Because of that, we so often fall for ‘white coat replicability’, underpinned by the ‘STEM’-type, linear, neat thinking that we can build better humans (whom we can always measure and classify), we are somehow progressing and all we need is to become better at it. OK, we can ‘make’ say athletes swim faster, ride longer etc but it gets messy when we enter fuzzy stuff like ‘know more’, ‘be a better student/parent/community member’…you know, the list is endless. Schools are a perfect example of it: “We just need to perfect what we have been doing and go harder at it…the notion of continuous ‘improvement’”. Extension -> oh look, digital tech is going to help us do that, great, let’s have a bit of that…Gets worse: “After all, the Joneses next door are doing it so we better too!” This is why digital technologies, for all the song and dance about it, haven’t really changed much of schooling (Paul Fernhout hits the nail on the head here http://patapata.sourceforge.net/WhyEducationalTechnologyHasFailedSchools.html see reference to many of the points you raise as well) . As the world is changing so rapidly, schools and educational institutions recoil to the “past and known” (yeah, enter multiple perspectives and truths… bloody French 😀 😀 ) rather than deal with present and future – both highly shifting, uncertain. Some of them do it because they say ‘let the world break their teeth on it before we expose our kids to it’ (a noble notion with care for kids at its heart but frankly as doomed as Ned Ludd’s efforts), some say ‘we don’t want to know, we want to deal with what we know and can control’ (‘head-in-the-sand’, hooray for learning anyone?). I’m not suggesting historical atrophy, we do need to learn things from the past and its context, nor do I want an uncontrolled free-for-all (bullies beware) but not to at least tinker with the present and future openly, at the expense of ‘perfecting the past’, is akin to professional dishonesty and, at best, disadvantages the kids in front of us. Now, since we sharpened rocks, the promise of technology has always been “less drudgery, more leisure”. Yeah right. I’m not a Luddite (although Ned’s doomed mission was not without some good points about dehumanizing society) but I am sick and tired of tech-peddlers who seek to fill the time and life ‘freed by technology’ with technology of a different (preferably their own) kind as some kind of historical inevitability. And at a deeper level, since time immemorial technologies have been invented to make us ‘become’ better. But this ‘becoming’, and particularly its linearity, is elusive and problematic, yet we continue to fall for it. We simply change (through) people and bodies of knowledge we connect with. We are better in different spaces but hardly advance the humanity (problematic, I know…) we all carry within us, ready to unleash in its g(l)ory. Technology is an extension of human power. Power to do, from horrible to wonderful. It gave Button Joe a job once, made him productive and happy. Now Joe has to figure out in what ways buttons can be used for because they come from China (cheaply) – maybe decorate them and sell them on eBay? (hail the long tail!). The answer? Not one, but broadly a re-imagined model of contributive cross- age/time/space/expertise mentorship (I remember you fishing around for stuff of medieval guilds…ballpark that needs a lot of rethinking). Not a mentorship of a perennial trickle down from master-knower to student but a relationship where we co-create, contribute with varying degrees (the teacher as “meddler-in-the-middle” -> Erica McWilliam’s excellent work http://74.125.95.132/search?q=cache:pYg0EaztZLEJ:www.creativityconference07.org/presented_papers/McWilliam_Unlearning.doc+Unlearning+How+to+Teach&cd=3&hl=en&ct=clnk&gl=us ). 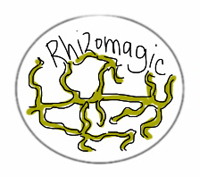 Rhizome anyone? Been meaning to reply to this the moment I saw it, keep throwing bones like that (some great comments too!). By the way, I like the term human literacy (for all its neboulosity … ? ). Most people can’t deal with freewill and prefer to push a button over and over again. That bothers us (the enlightened middle classes) so we try to find ways of ‘liberating’ people but in that process. The systems we use to liberate people then slowly turn into institutions and… oops, we are the bad guys. Basically freedom is not the ‘easy’ option because it requires thought and individual responsibility (as you mention Dave). Of course if the education system can’t encourage individuals to deal with these challenges then what can? Amen. We need to be able to function in society – in collaboration and relationship with others – regardless of the tools we have or have not. I like Tomasz’ conception of technologies as tools or processes. So many emphasize technology as literacy with terms like digital literacy or digital literacies and this shifts our focus from function to form. Dave, I think you have touched nicely upon the different literacies, or strategies, required for negotiating through and functioning within the network, or rhizome, rather than within the hierarchy. The factory, of course, is a typical prototype of the hierarchical structures we have invented to build our cultures and knowledges; however, the command-and-control apparatus of hierarchies requires a different skill set than does the connect-and-collaborate apparatus of rhizomes. When our status, value, and position within a group depend on the number of people we can encourage to connect to us and collaborate with us, as they do in a network/rhizome, then we must learn and use very different skills than when our status, value, and position within a group depend on the number of people we can climb over and put beneath ourselves, as they do in a hierarchy. What literacies do I learn to encourage people to connect and collaborate? Well, “it is better to give than to receive” comes to mind, and it has a certain pedigree, but it sure runs counter to hierarchical structures, both mental and physical. Perhaps one of the first literacies we need to develop, and one that I still don’t have, is to determine what constitutes a rhizomatic structure. Hierarchies are very well equipped for defining who is inside and who is outside the group, and gatekeeping is a core hierarchical literacy and function. Rhizomes are different. If you show up, even accidentally, then you are in the group. You may leave when you wish, though you will leave behind whatever energy you created in the group. No gatekeeping. To the hierarchical mind, this is no organization at all. If anyone can join, then … well, the hierarchical mind simply stops in the face of such nonsense. Either you’re a Christian or not, an American or not, an employee or not, a student or not, a Phi Mu or not. The rhizome says otherwise. I think I’m beginning to see this shift in structure in my college classrooms as people drop in and out of the class like virtual angels through blogs, work on gDocs, RSS feeds, chats, Facebook. When students really begin to develop a PLN/PLE, then the hierarchical identity of my classroom is subsumed in the assemblages of all those different networks. When the class works, then the rhizome intensifies, elaborates, far beyond the classroom. What do I call that? How does my university account for that? Who gets charged? graded? And do those various hierarchical functions become anachronisms? If they are, then what functions replace them? If I as a teacher no longer spend my time as the sole, authoritative gatekeeper of knowledge or as the rank-orderer and signifier, then what do I do? What will happen to me as a teacher when I can no longer rely on command-and-control structures to force students into my classrooms and must, instead, rely on connect-and-collaborate structures? Dave, I need these new literacies much sooner than do my students, who are already developing them, though they are seldom conscious of it. Let me know what you find out. http://www.wnyc.org/shows/radiolab/episodes/2005/02/18 This show has remained a pivotal point in my life and teaching. It may be outside of the norm for school, but my life sure is a lot more fun and interesting once we are all freed of the button mentality and live in the above described rhizome world. In our Youth Voices work, students now maintain a flickr account and post images to be shared in a Youth Voices group on flickr. This past week, one of my students came to me with a baffling issue. Her work had been discovered through tags by a another group on flickr. Someone in that group sent her a note saying they admired her photography and invited her to post to the group to enrich the work of that group. One of my students now has a desktop background image that is a photograph taken by a student in Utah whose work my student admires and follows. Last week, a past student came into my room during a digital photography class and was shocked at why the room was so quiet and why everyone was so engaged with their images. He saw the difference between when students are completing assignments and when they are developing their own aesthetically challenging problems and creating personal statements. I’d like to blow apart school all together so this happens inside and outside of school and different students come and go from school according to their own personal schedules. That would be scaffolding! One of our first students to ask to participate this spring in Virtual High School is a competitive swimmer. She has been juggling her swimming practice with traditional school for years. No one needs to tell her that the traditional idea of school is outdated and probably useless compared to what she learns everyday in her own personal challenges at excellence. I’m afraid that it’s still going to be another two generations though, before real change happens but wouldn’t it be nice if we could enjoy a little part of it now…. oh and Google Wave… thank you Google! – That may help….